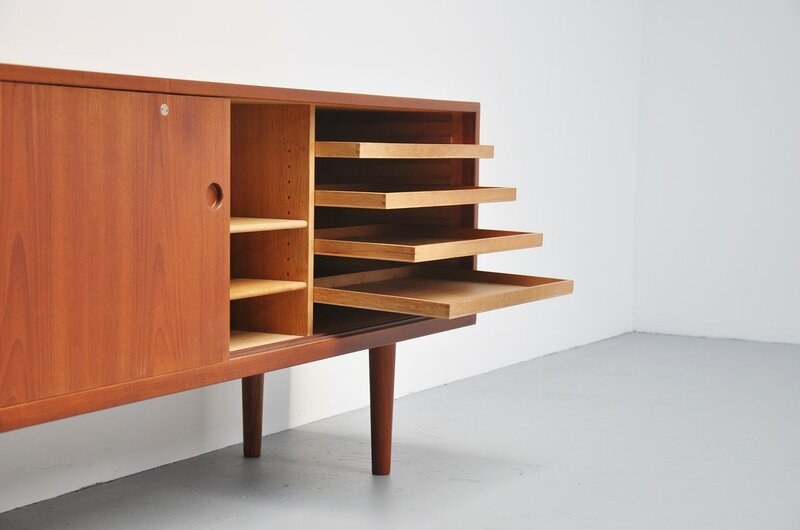 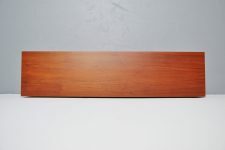 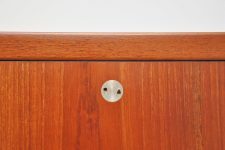 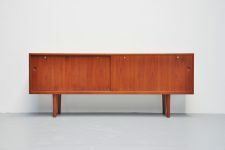 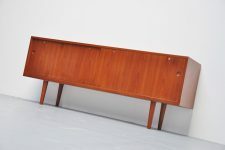 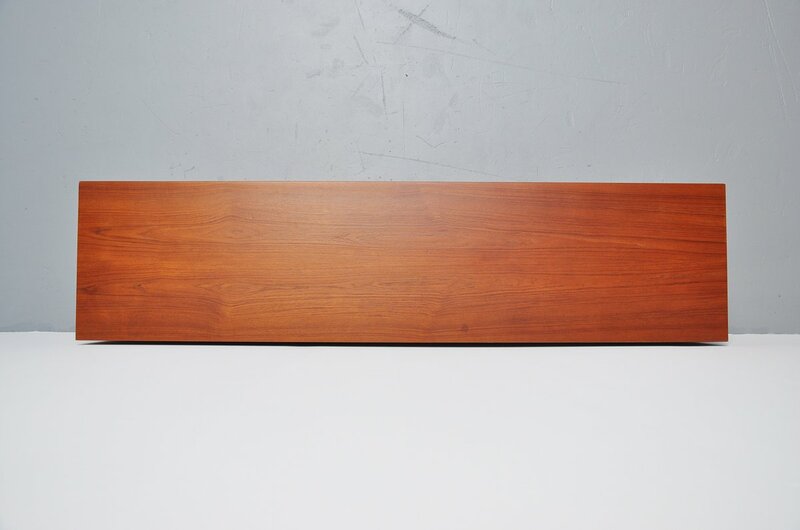 Very nice teak sideboard designed by Hans J. Wegner for RY Mobler, Denmark 1965. 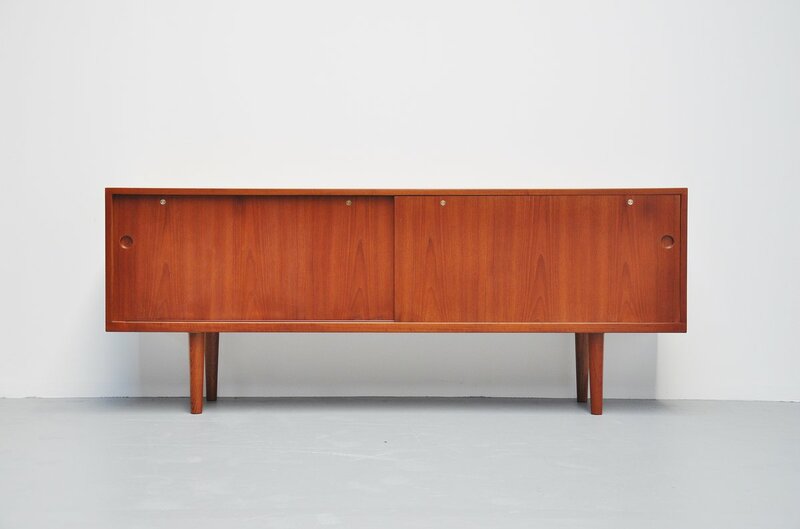 This nicely crafted simple sideboard has 2 sliding doors with 5 shelves and 4 drawers behind. 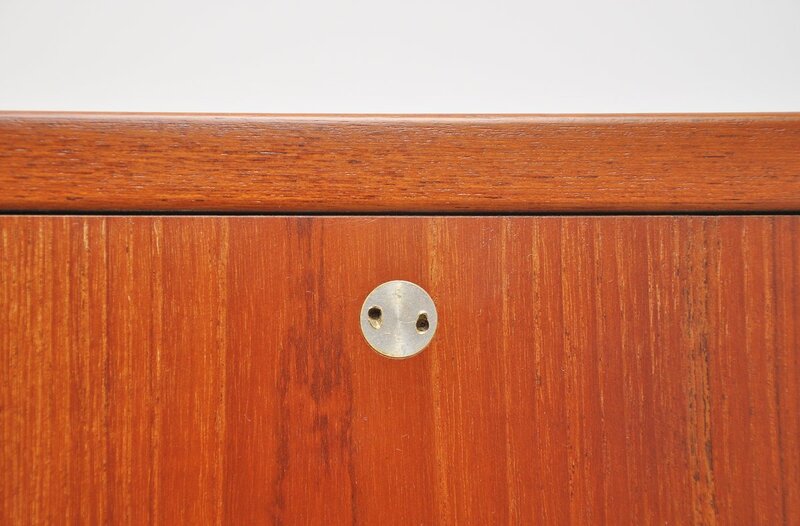 This sideboard has very nice round integrated handles and a very nice detail is the round metal screws on each door. 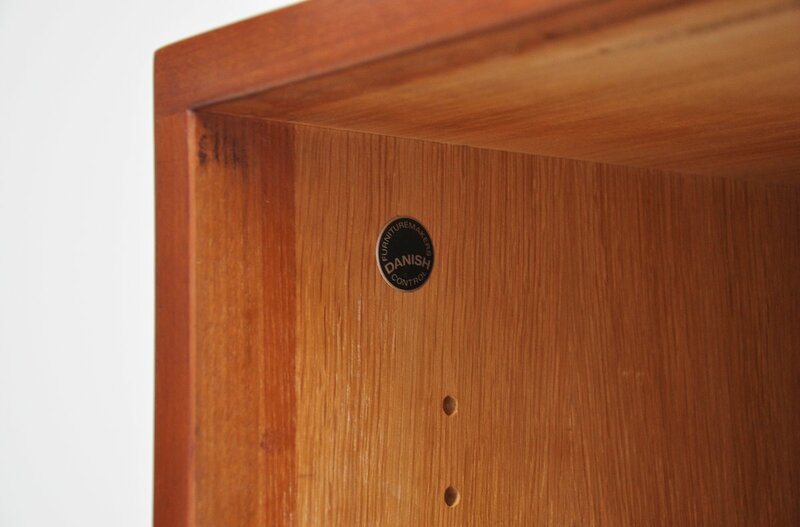 Marked with the metal Danish Furniture Control tag on the left inside.